Well, my special middle boy, Josh, turned 6 back in March. It was a bit of a crazy time in March as we had been given notice to vacate our home (the owner wanted to move in) so we were running around looking for somewhere to live in between packing, school, work, my business and all the usual fun of life! Josh had a big party last year for his 5th birthday, so this year was a quiet affair at home. This was the card I made for him – I really love how it turned out! I used the stamp sets Extreme Elements and Happiest Birthday Wishes with the colour combination Real Red, Basic Black and Crumb Cake. 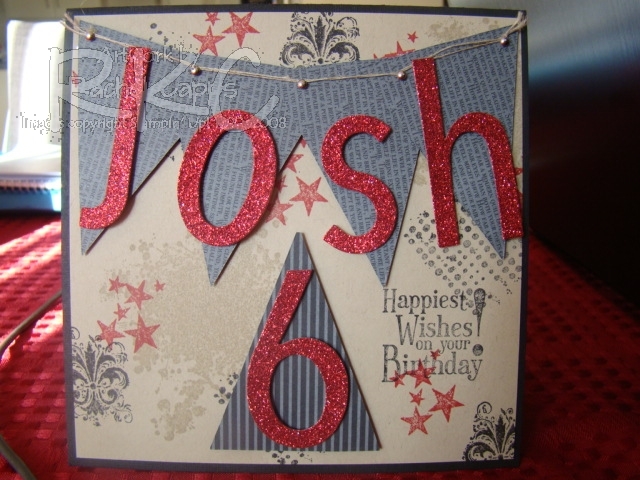 I love the Big Shot and I couldn’t have made this card without it – I’ve used the Perfect Pennants Bigz L Die and Simple Letters Alphabet and Simple Numbers Bigz Dies to cut out Josh’s name and the number “6” (which doubles as the number “9”). 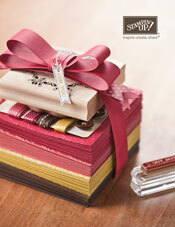 I think that SU’s glitter paper is the best paper out there – I hope we get more colours in the new catalogue! !